Who doesn't love Shamu? Investors do. SeaWorld made a big splash with its initial public offering. Wall Street welcomed Shamu with open arms Friday. Shares of the beloved killer whale's parent company SeaWorld Entertainment (SEAS) surged more than 24% on their debut on the New York Stock Exchange, where penguins, an otter and a lemur walked through the trading floor. Backed by private equity firm Blackstone Group (BX), the amusement park giant raised $702 million by offering 26 million shares at $27 a piece, the top of its expected range. At that price, SeaWorld's market value comes in at about $2.5 billion. Blackstone bought SeaWorld from brewing giant Anheuser-Busch InBev (BUD)in 2009. 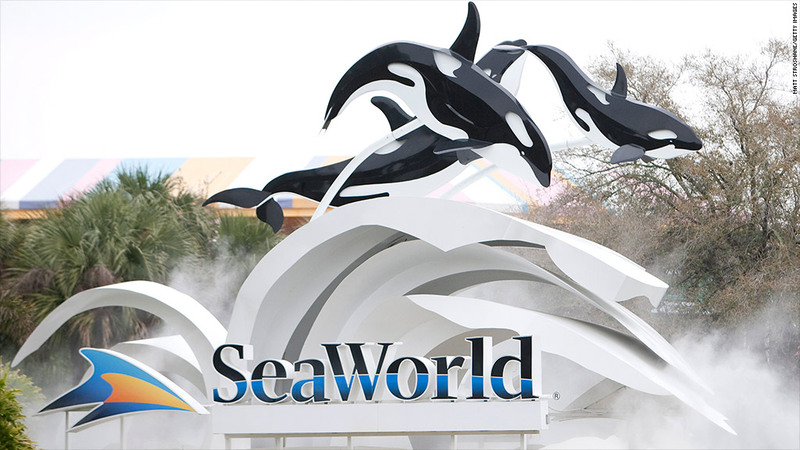 With the proceeds from the offering, the company plans to pay down some of its debt, said SeaWorld CEO Jim Atchison in an interview with CNN at the New York Stock Exchange. SeaWorld is also preparing for the opening of Antarctica: Empire of the Penguins at its Orlando theme park next month. Atchison, who began his career at the company nearly three decades ago as a parking attendant, said Antarctica will be home to 250 penguins and is one the company's most ambitious attractions. The company, which operates a total of 11 theme parks including three SeaWorld locations as well as Busch Gardens, said it will pay shareholders a dividend of $0.80 a year, for a dividend yield of about 2%. Though dividends aren't typically associated with the IPO market, a growing number of newly public companies are making quarterly payouts. Under Blackstone's ownership since late 2009, SeaWorld has increased its revenue and profits. In 2012, the company posted a 7% jump in revenue to $1.4 billion and a more than quadrupled its profit to $77.5 billion compared to the prior year. Rival theme parks Six Flags (SIX) and Cedar Fair (FUN) rose more than 1% Friday. And both have had strong runs so far in 2013, with Six Flags shares up more almost 20% and Cedar Fair's stock up almost 25%.